Eastmoor Farm offers members a four acre field each pitch being numbered and generously spaced. Generous 14ft entrance gate. Electric hook up is available for all pitches. The site is mown with easy accessibility to water disposal point and rubbish bins. Good rural views towards Reynoldston and Rhossili Hill. 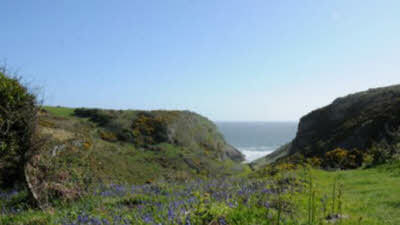 Footpaths within 100 meters of CL gate connect to Coastal Path and Bays or lead off onto unspoilt countryside that makes Gower an area of outstanding natural beauty. Rhossili offers a 3 mile sandy beach and the spectacular island of Worm's Head. Convenient bus service and good well stocked local shops. Follow directions in directory not SatNav. 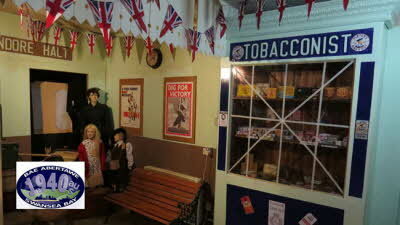 Walk through our Wartime street, pub and air raid shelter, watch newsreels, try on 1940s style clothes and uniforms. 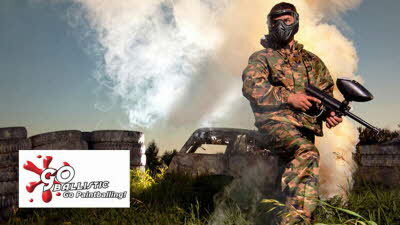 See the picture Ggallery of the Swansea Blitz, experience the indoor WWI trench, have a spam sandwich and try camp coffee! There are quiz sheets for children and a gift shop selling ID cards & ration books. 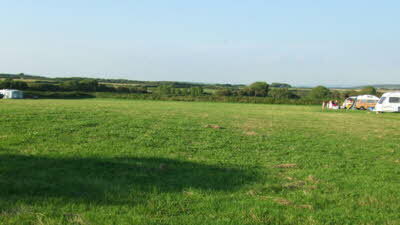 This is a large 4 acre field, lots of space, your neighbours seem miles away. The site is only yards away from a Footpath that takes you to the Welsh Coastal Path. Turn right for Rhossili (4 miles or left for Port Eynon (4 miles). Great CL for the Gower. We stayed for a week in June 2018 and found this a very good site with plenty of space around the pitches on a large field. The coast path was easily accessible on foot both for Port Eynon (fish & chips available) and Rhossili. The village shop at Scurlage was handy for day to day supplies and a Sunday paper. The Britannia Inn at Llanmadoc was a short drive away and is recommended for some great food - it offers both a restaurant (can be booked) and bar food (not bookable). We used the CL owner's instructions for access which, having seen the alternatives were definitely the best route in. We're hoping to be back next year. Had a lovely few days at Eastmoor earlier this month. We were pleased to have Pitch 1 where we could take water onboard our Moho with a long hose. We did some lovely walks in both directions along the coastal path, which our dogs loved, and enjoyed some delicious lunches both at The Bay in Rhossili and at a fish & chip shop in Port Eynon. We were blessed with some lovely weather and loved the space & peace at the site. Even though we had had some rain overnight just before we left we didn’t have any problems getting off the field. Thank you Kaye for a very happy holiday! First time on using this site and what a little beauty. Lovely and peaceful with good views of surrounding countryside. Owners made you welcome and nothing was to much trouble. Nice large pitches with plenty of space. Dog friendly beaches near by. Definitely going back to this little gem. Nice to return to one of our favourite CL's and find the owner has made improvements over the winter. The gateway is now 14 feet wide and set back from the road. 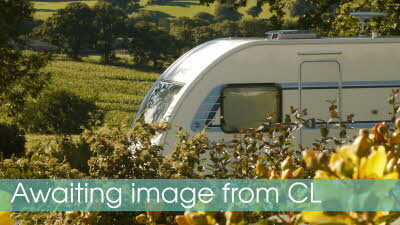 Car and caravan can be driven safely off the road to reach the entrance gate.